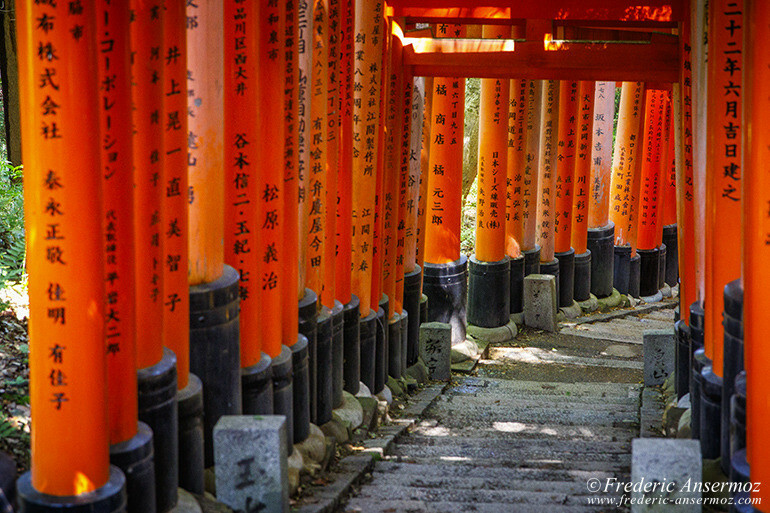 Located in Fushimi-ku, in southern Kyoto, Japan, Fushimi Inari Shrine (Fushimi Inari Taisha) is an important Shinto shrine. 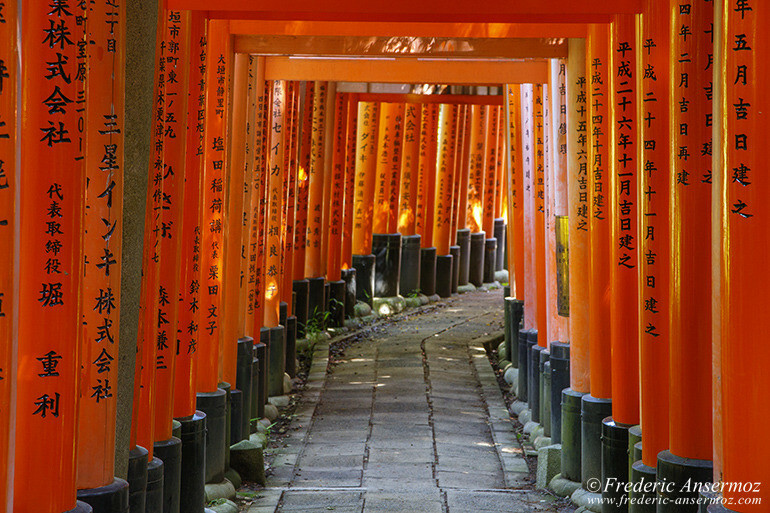 The place is famous for its thousands of vermilion torii gates, straddling the 4km of trails, leading up to the top of the sacred Mount Inari (233m). 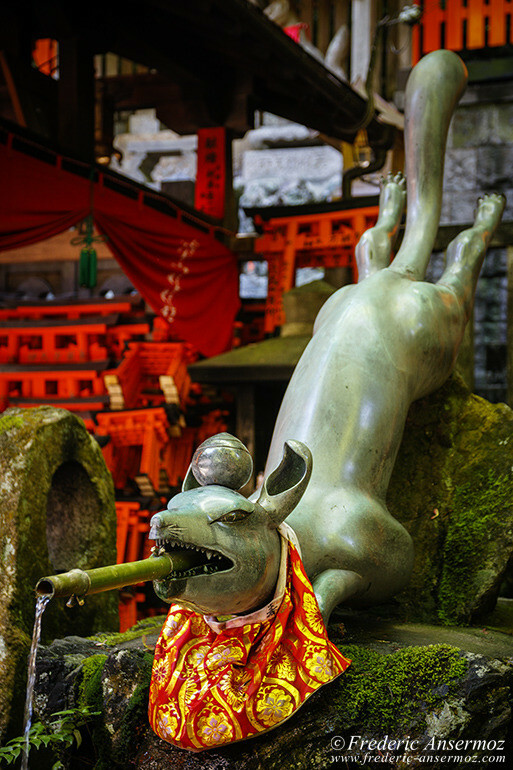 Inari (Inari Okami, also Oinari), the Shinto god of rice, is also the patron of swordsmiths, merchants and manufacturers. 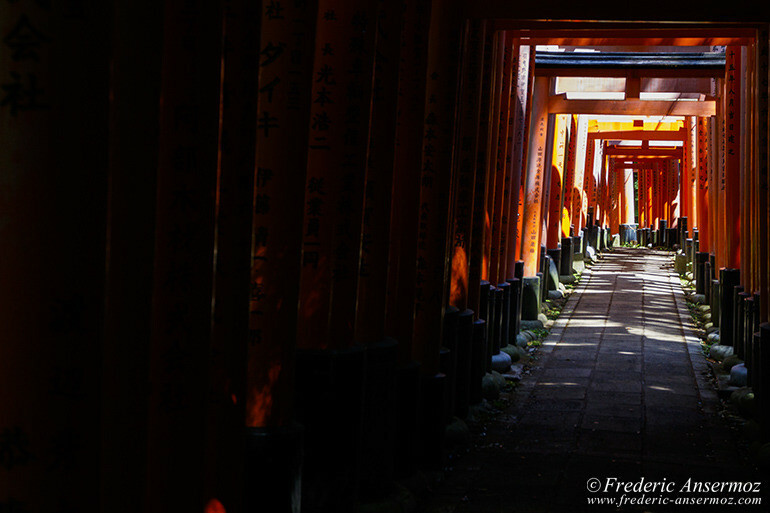 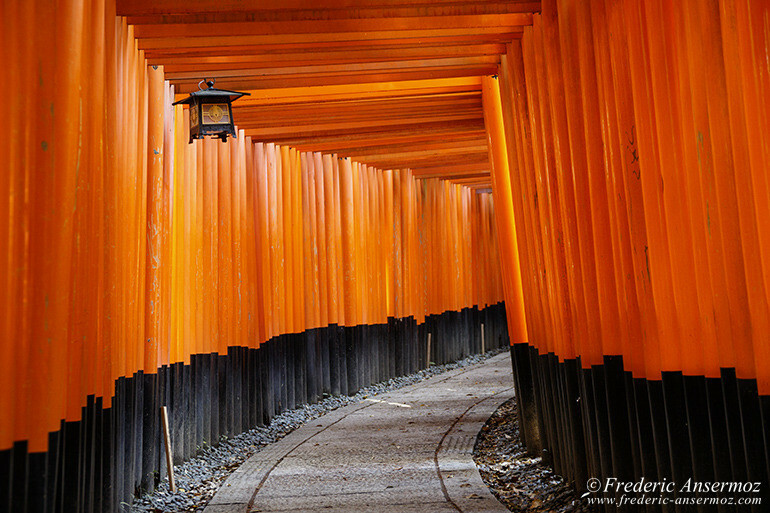 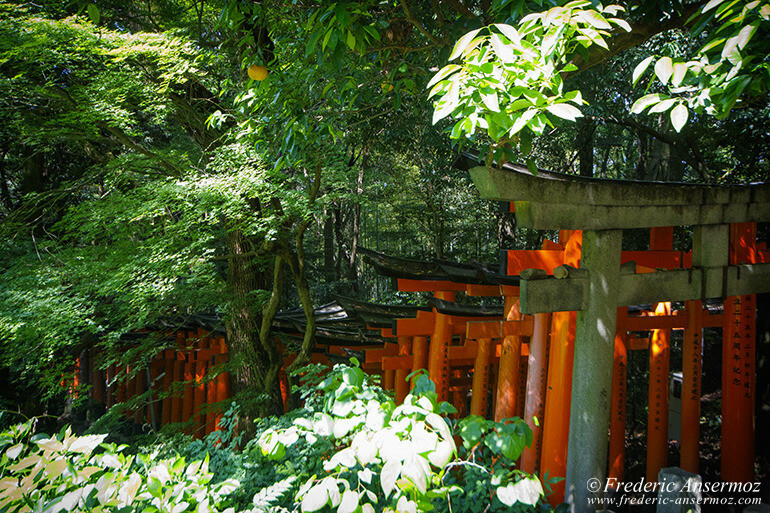 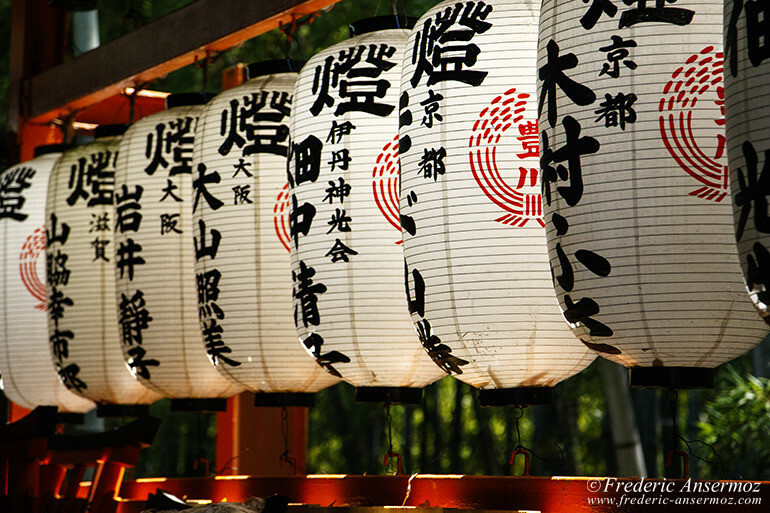 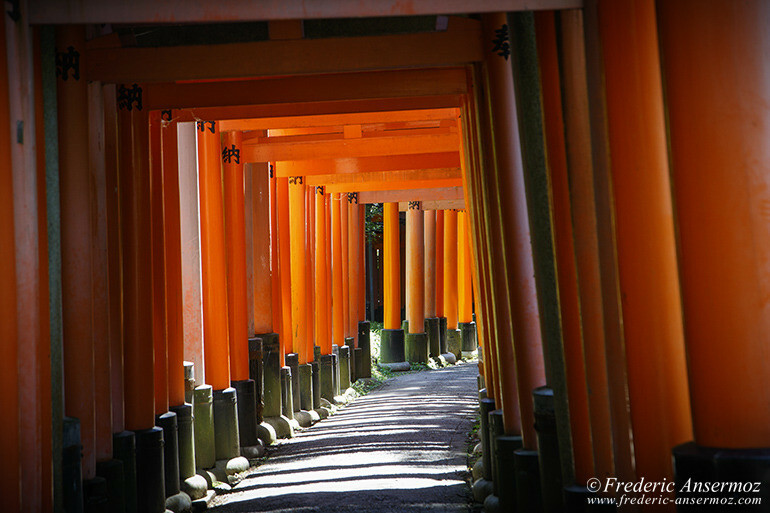 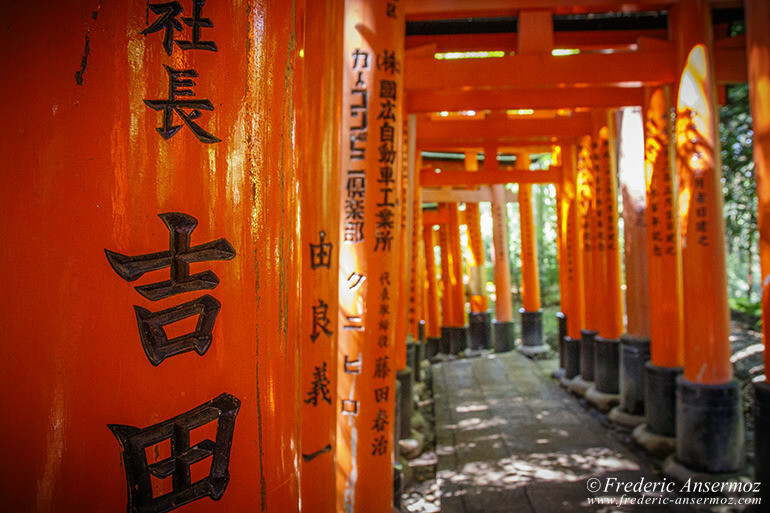 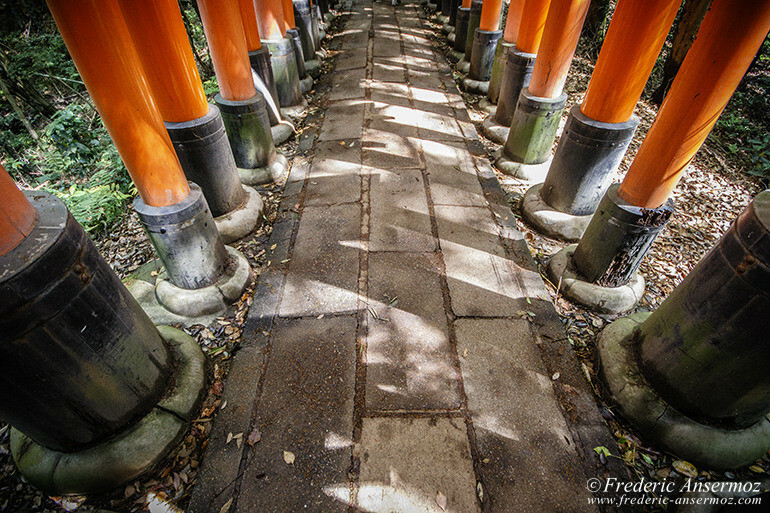 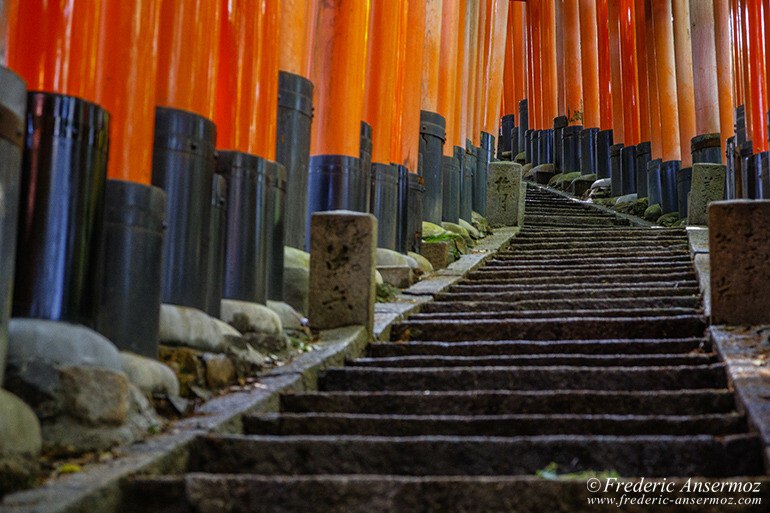 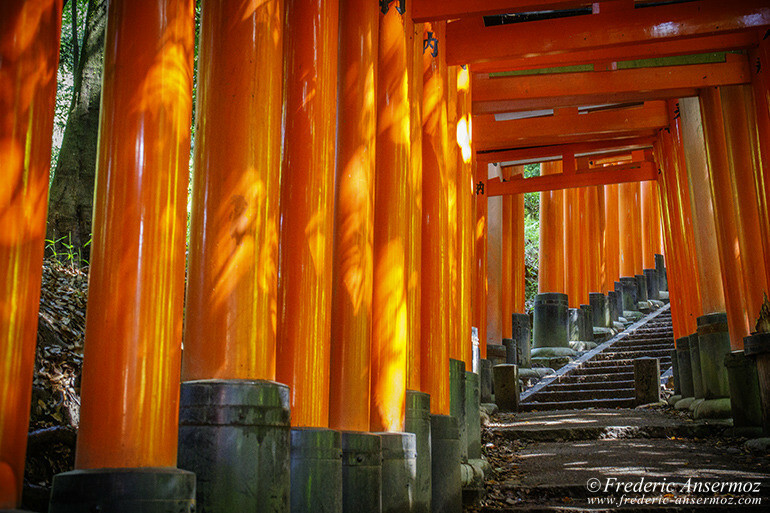 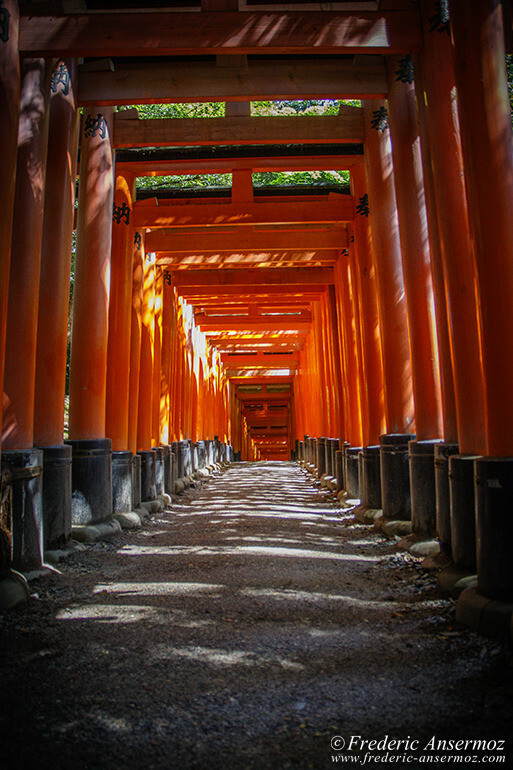 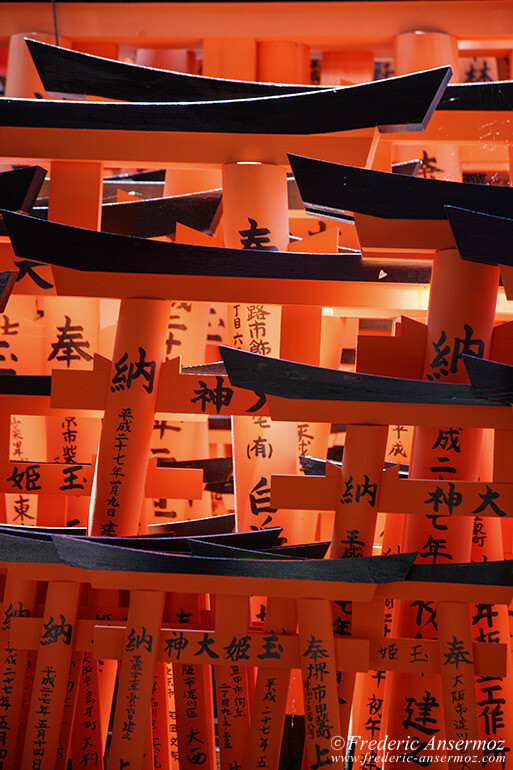 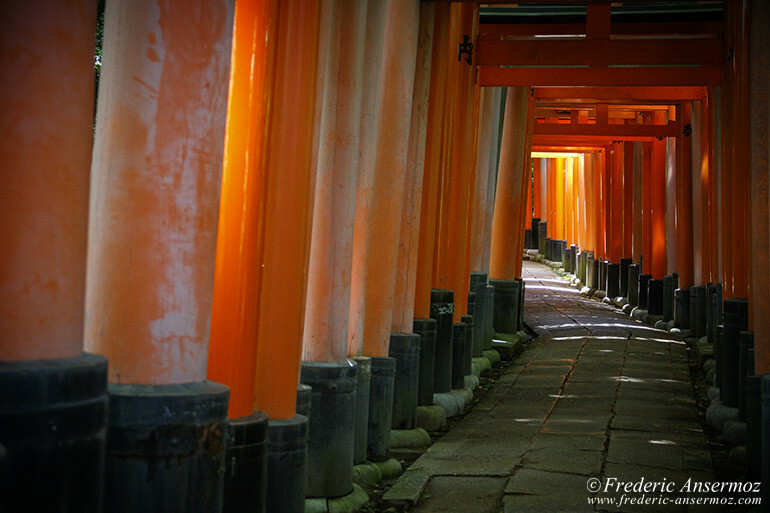 Each of the torii gates at Fushimi Inari Shrine is donated by a Japanese business company. 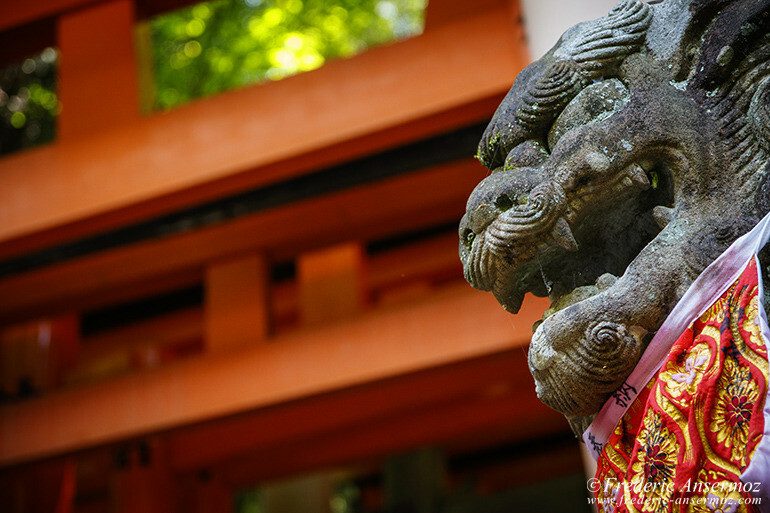 Built in 711, the earliest structures were standing on the Inariyama hill in southwestern Kyoto, but the shrine was re-located in 816. 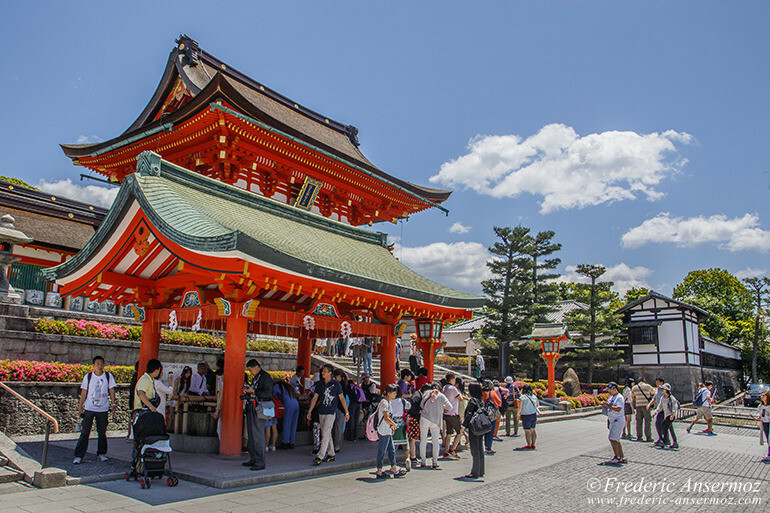 The main shrine structure was built in 1499. 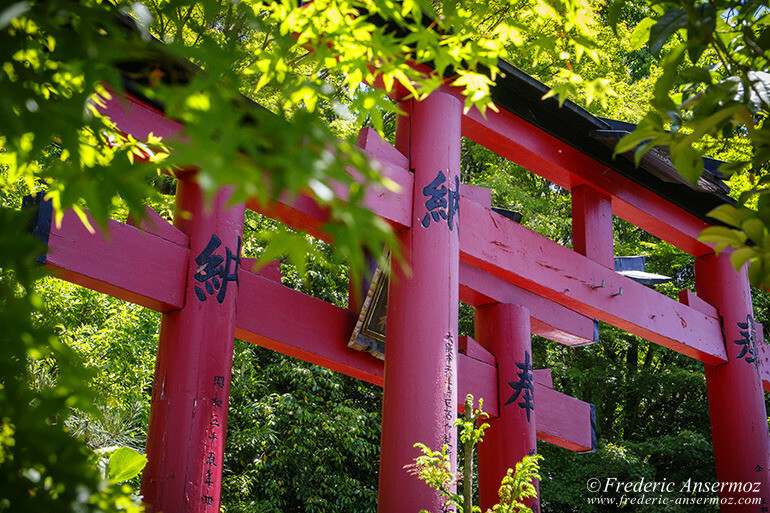 The Romon Gate stands at the shrine’s entrance, It was donated by the leader Toyotomi Hideyoshi, in 1589. 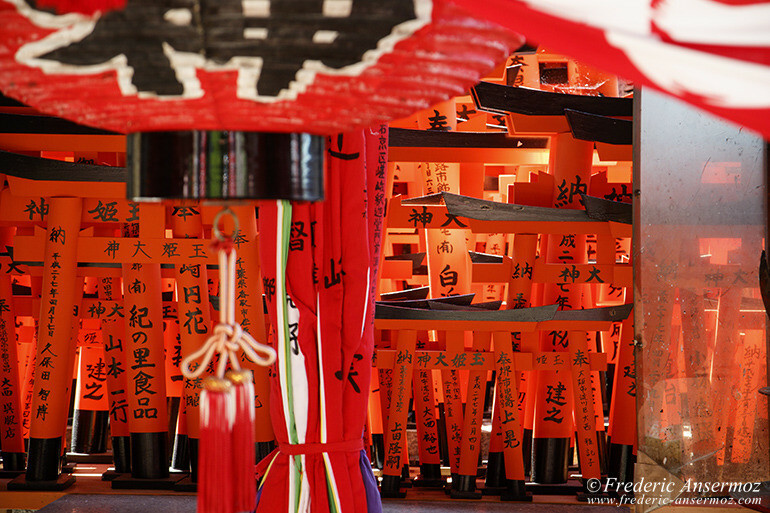 Right behind it, stands the shrine’s main building (Honden) and several auxiliary buildings. 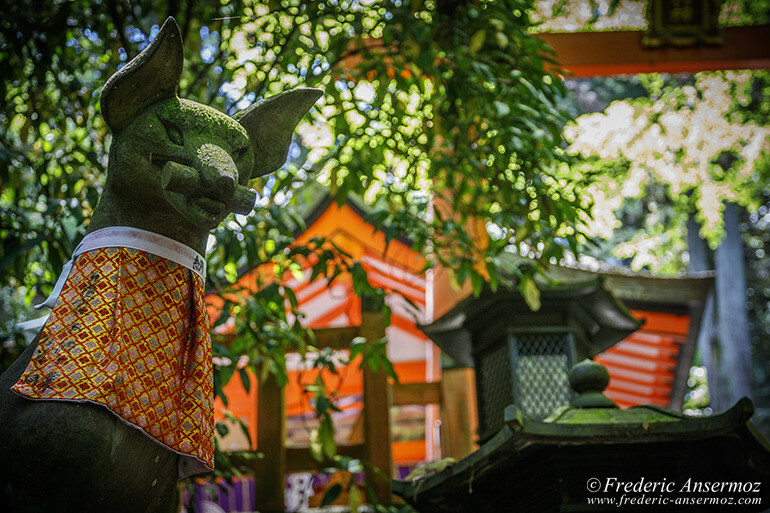 There is many fox statues in Fushimi Inari Shrine. 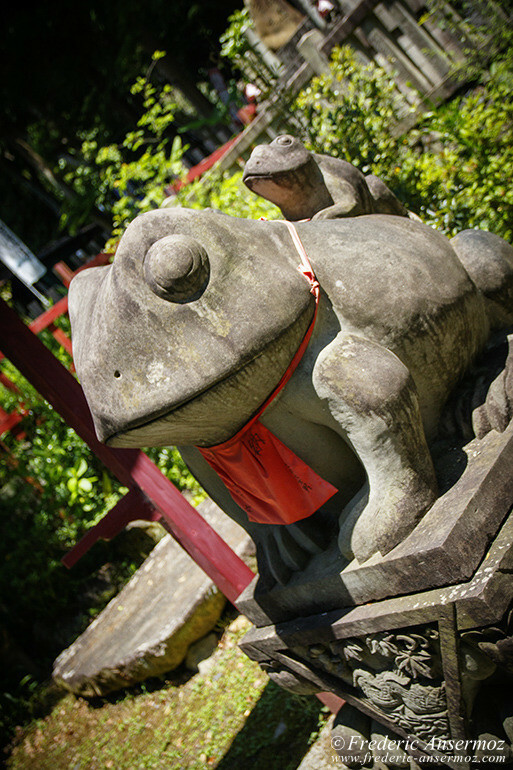 You will encounter them all along your visit. 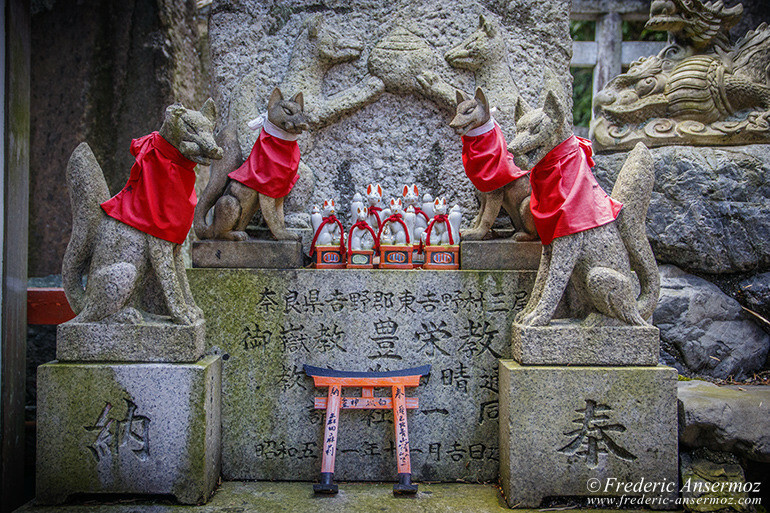 Foxes (also called kitsune), are considered as the messengers of Inari. 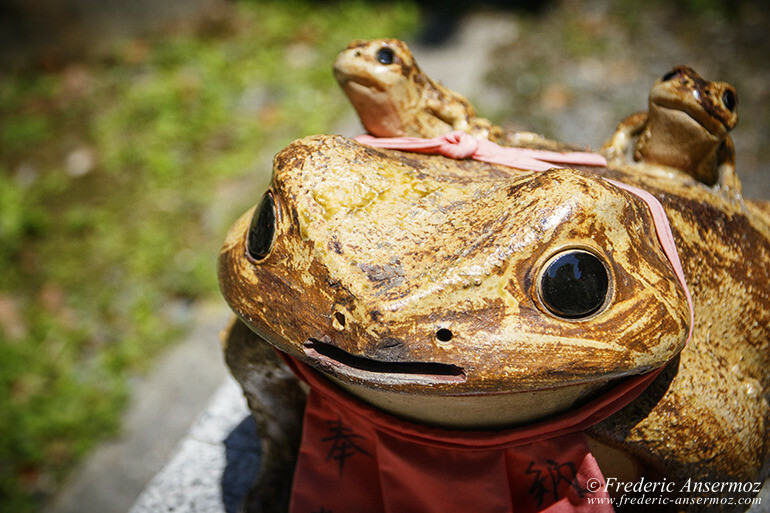 They are often represented with is a key in their mouths. 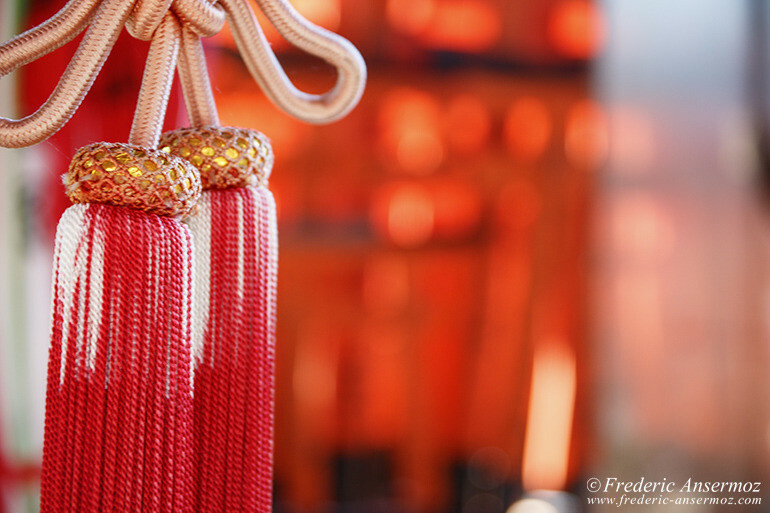 It’s the key of the rice granary. 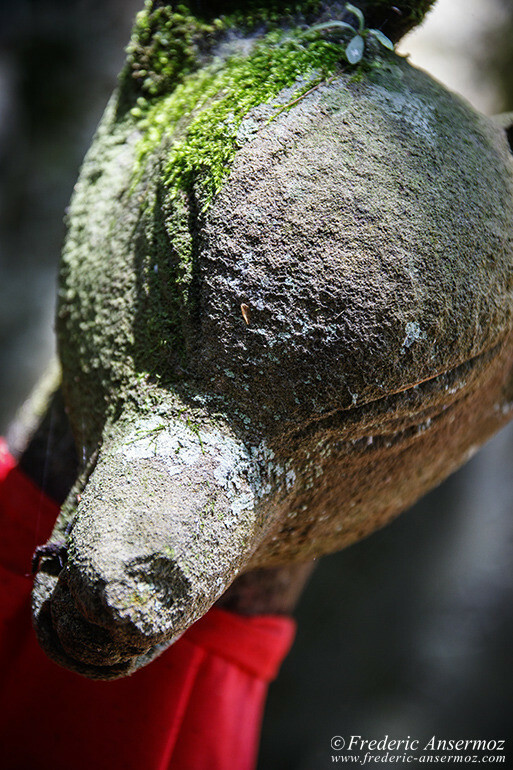 The role of messenger has reinforced the fox’s supernatural significance. 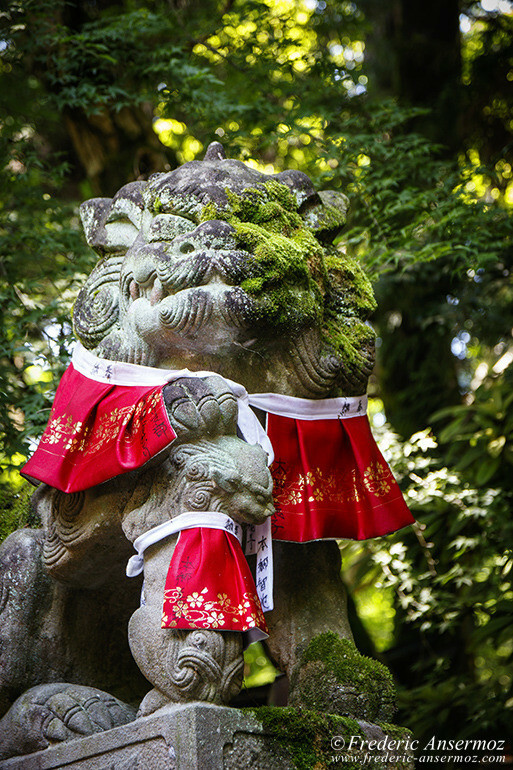 The more tails a kitsune has (up to nine), the older, wiser, and more powerful it is. 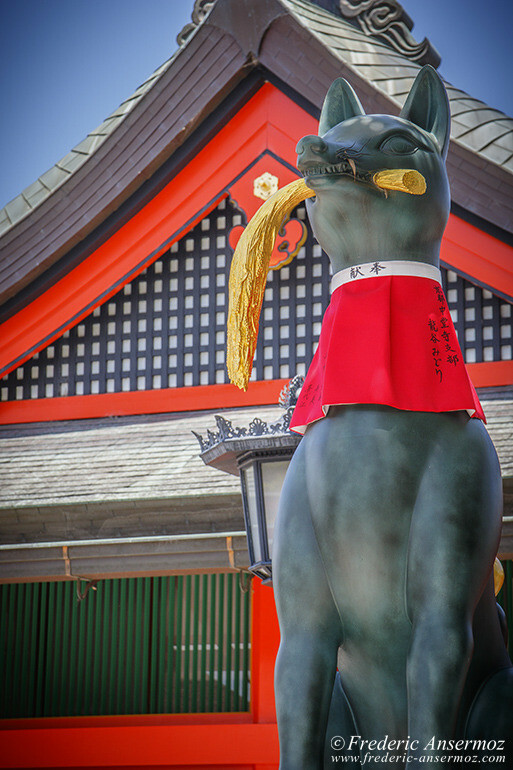 But on the other hand, mainly during the Edo period (1603–1867), foxes were often considered as “witch animals”. 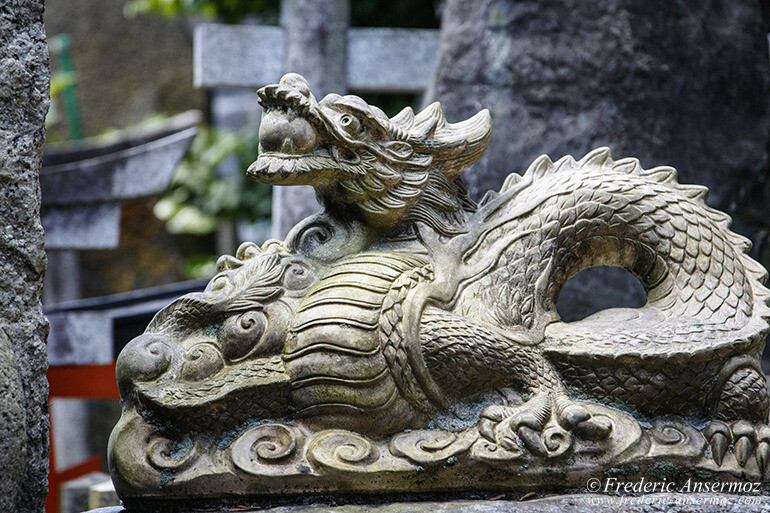 The japanese fox myths had its origins in Chinese mythology. 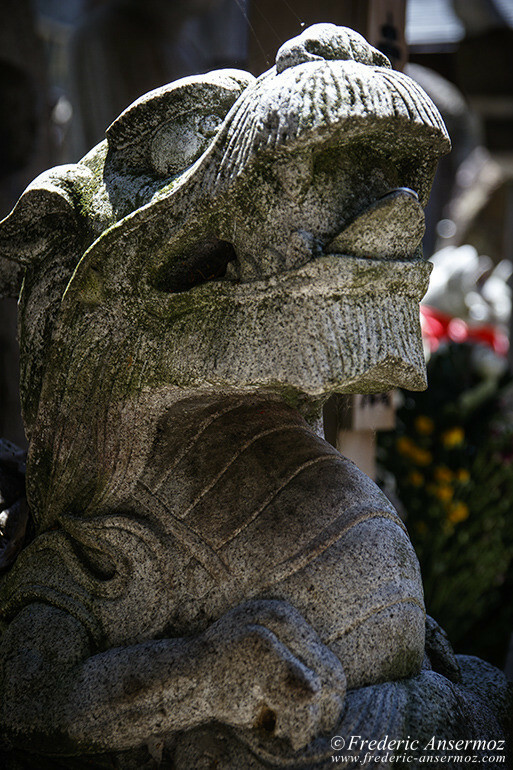 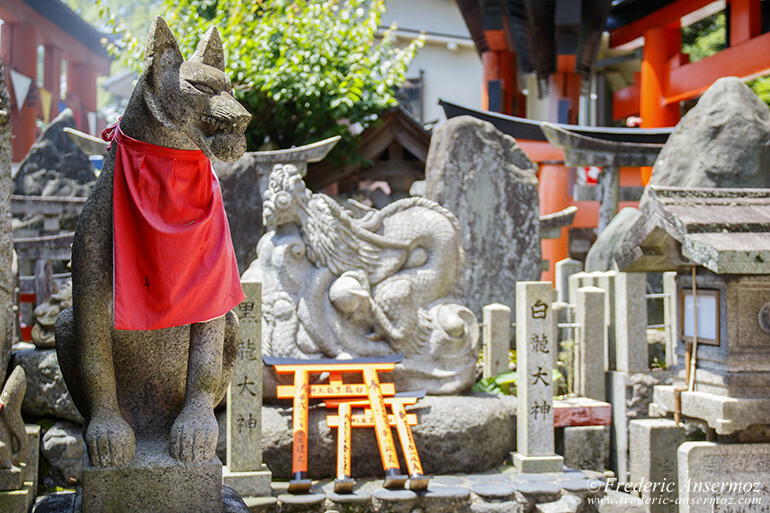 Almost all Inari shrines present kitsune statues. 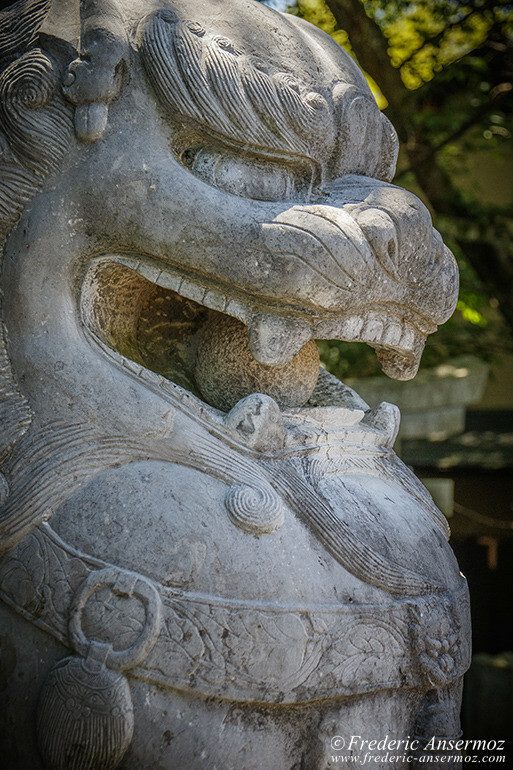 Foxes statues are generally coming in pairs, with a male and a female sitting on, tail in the air, and having a symbolic item in their mouth or under their front paw. 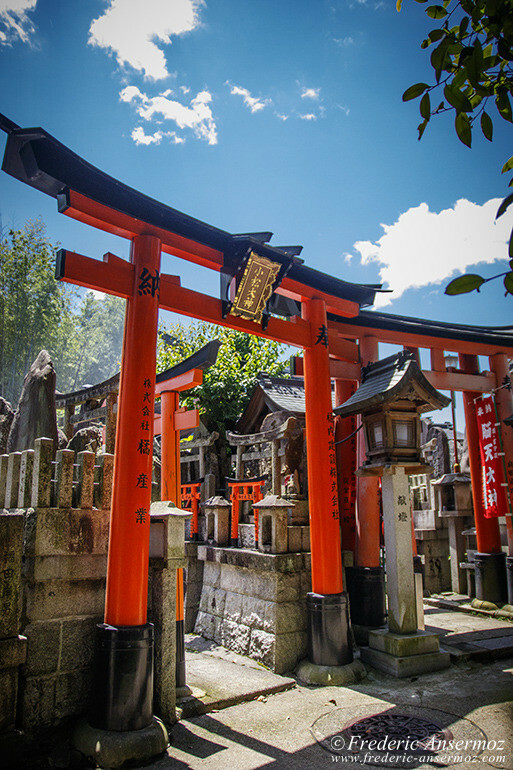 Inari is also the Japanese kami of foxes, fertility, rice, tea and Sake, agriculture and industry, prosperity and material success. 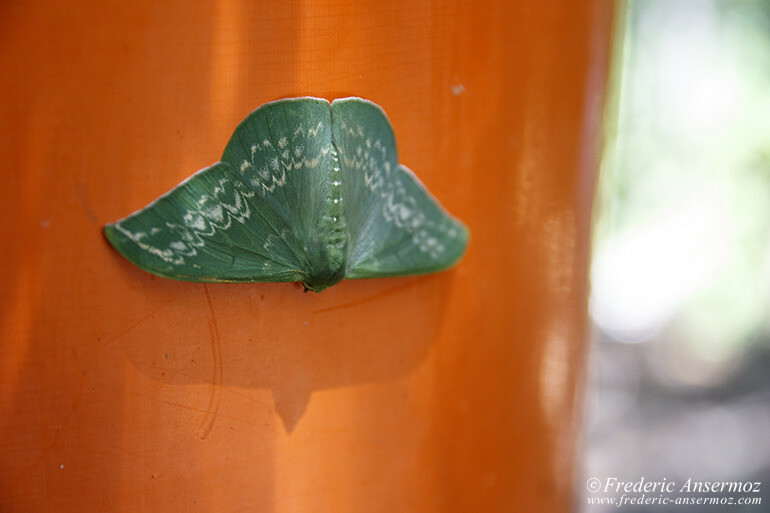 It is one of the principal kami of Shinto. 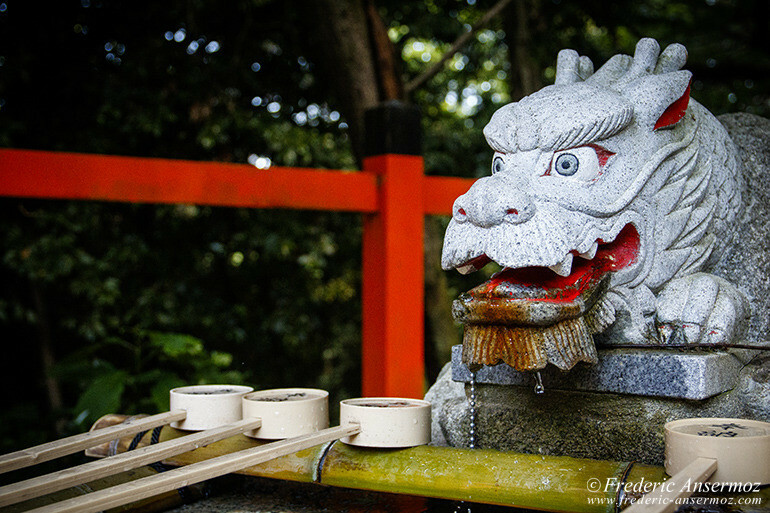 Kami is the Japanese word for a god, deity, divinity, a spirit or even a phenomenon, that is worshipped in Shinto religion. 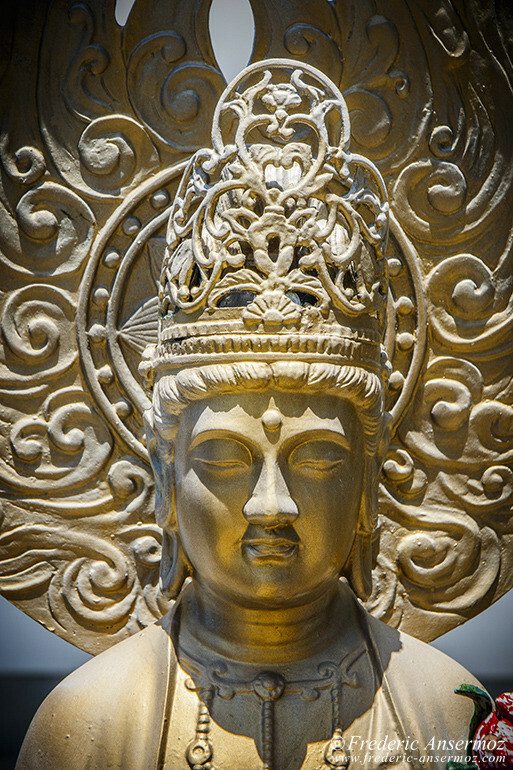 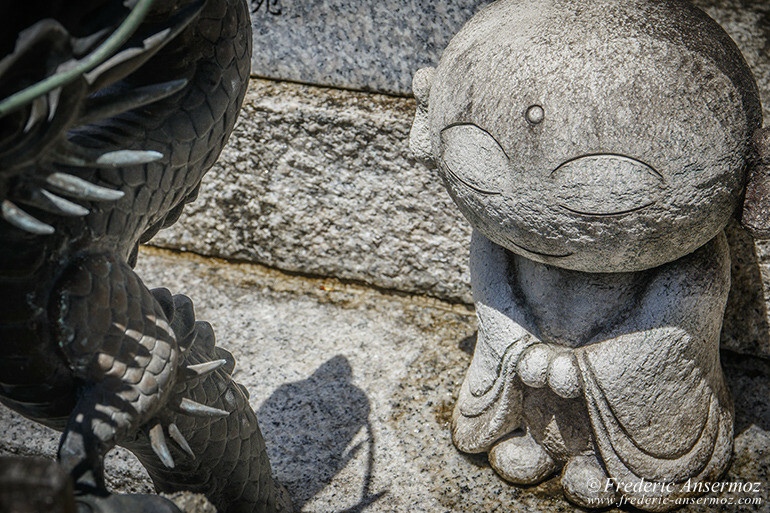 Possessing good and evil characteristics, they are elements in nature, animals or creative forces of the universe. 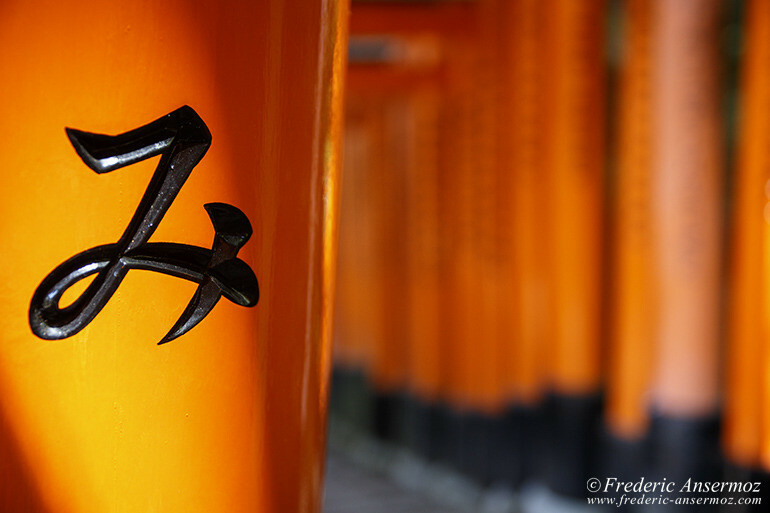 The kami ambiguity is that it can describe several different representations. 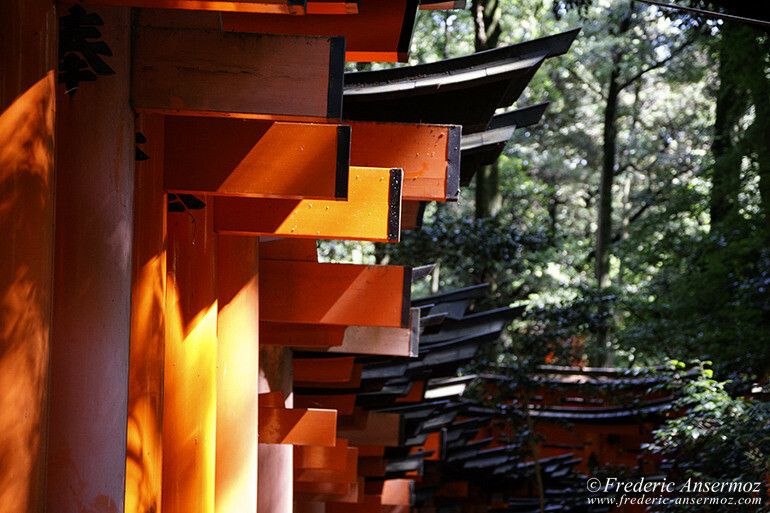 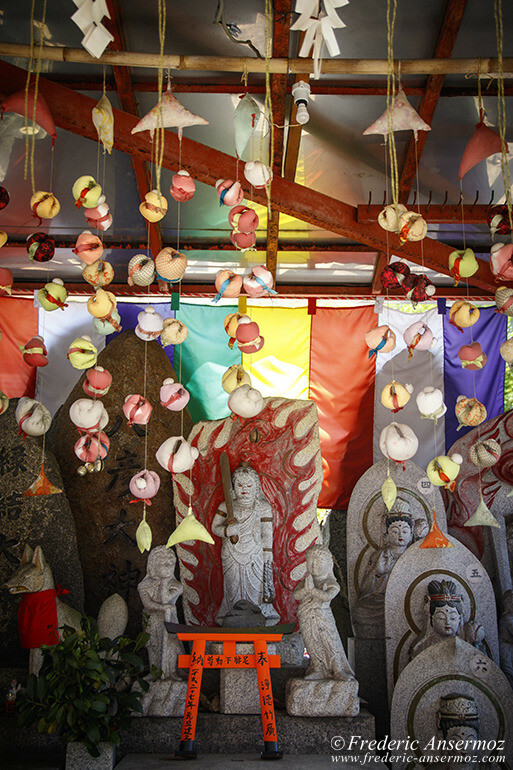 Inari is represented as male, female, androgynous, or even sometimes as a collective of 3 or 5 individual kami. 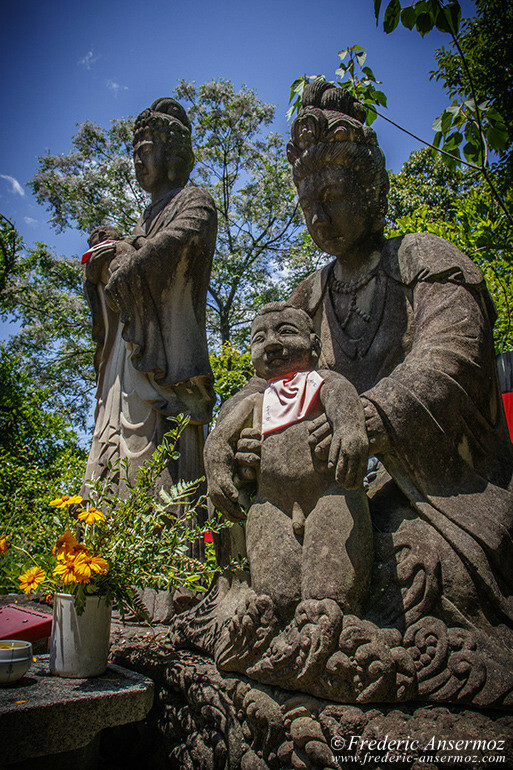 The gender in the representation, varies depending on regional traditions and individual beliefs. 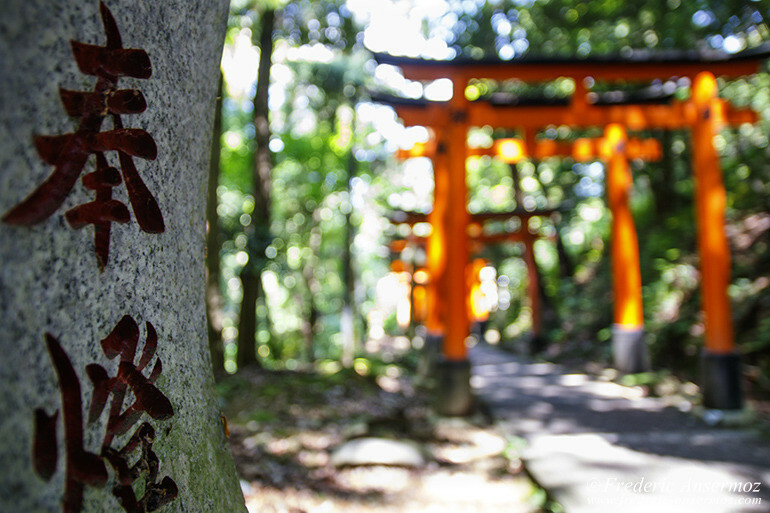 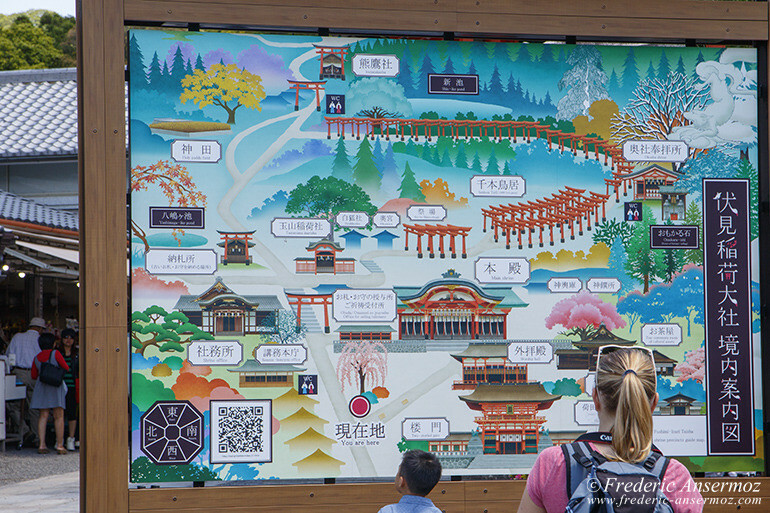 The torii gates along the entire trail are donations by companies, but also individuals. 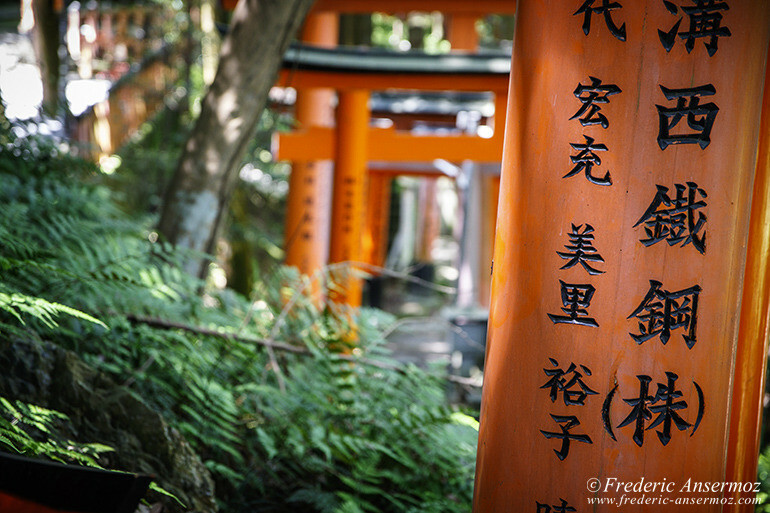 Their names are carved on the torii gates. 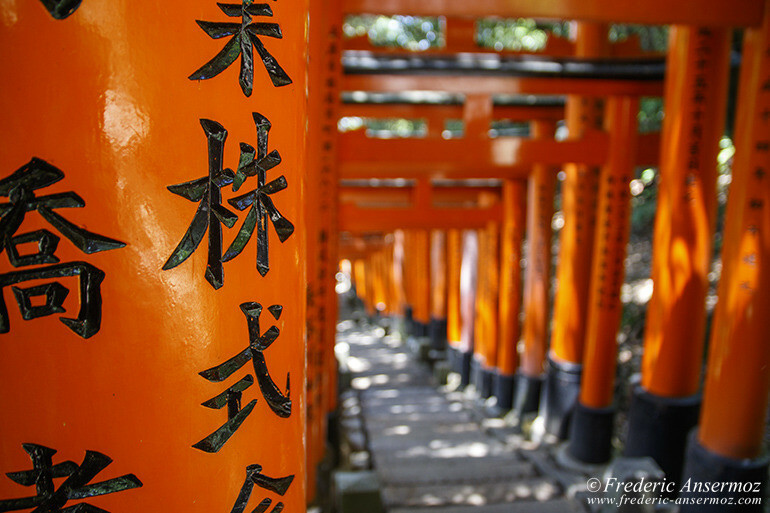 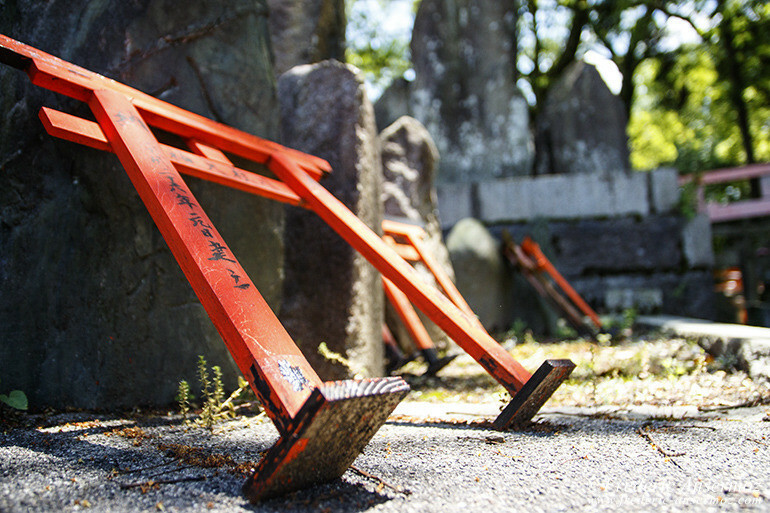 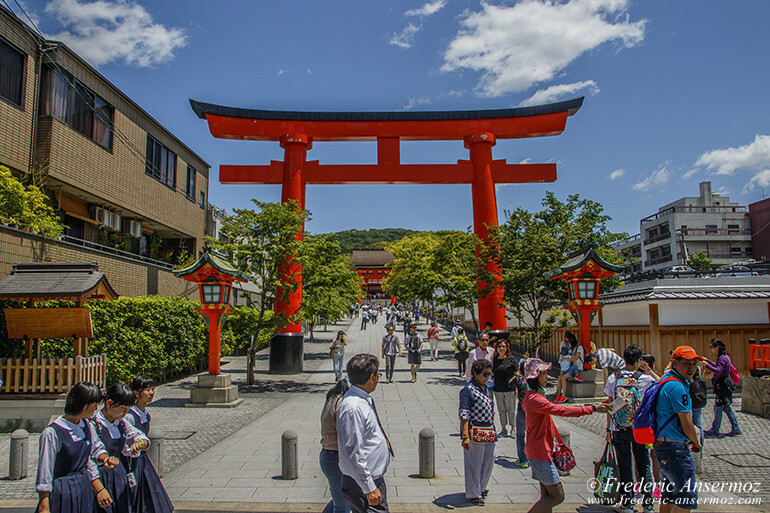 The cost of a torii gate varies from 400,000 yen to more than a million for large ones. 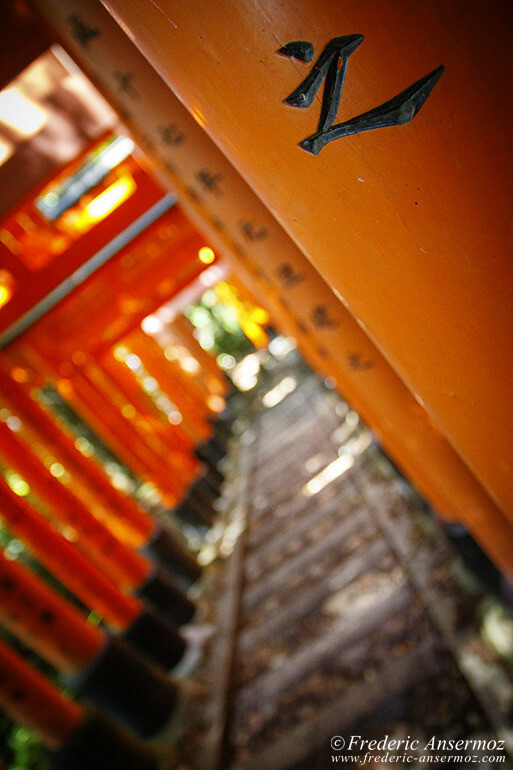 People who are visiting Fushimi Inari Shrine, with smaller budget, can still make donations of miniature torii gates. 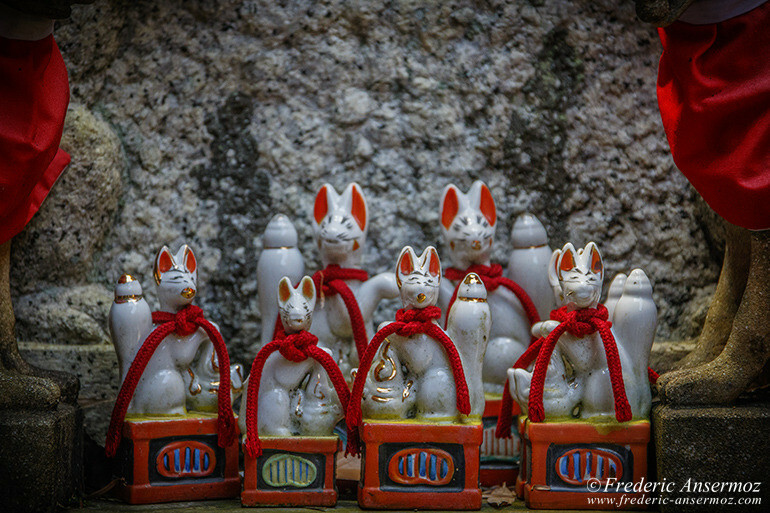 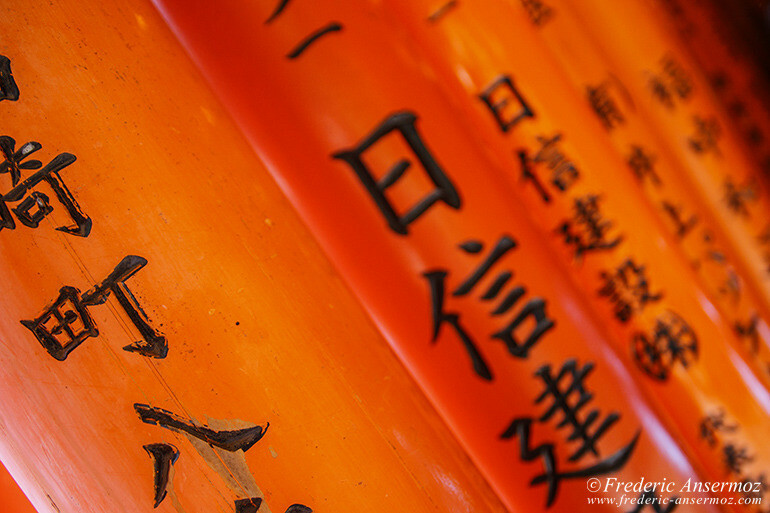 There is also a lot of them in the Fushimi Inari Shrine. 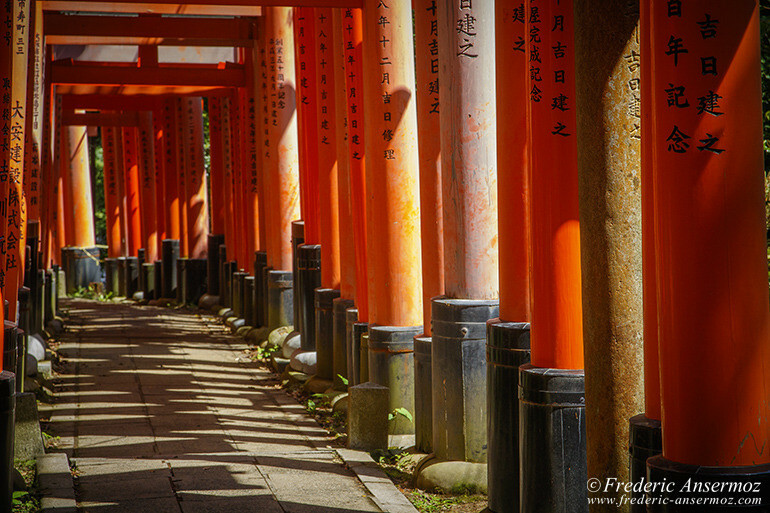 I hope you liked my article about Fushimi Inari Shrine (Fushimi Inari Taisha), located in Fushimi-ku, in southern Kyoto, Japan. 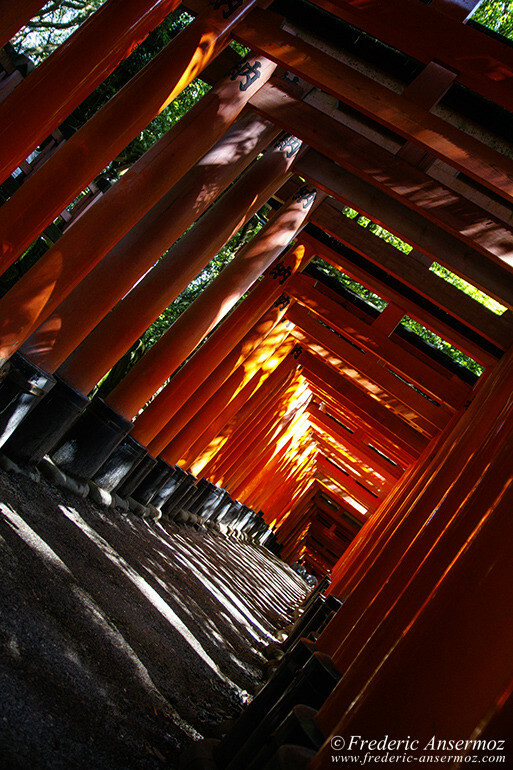 Maybe it will motivate you to travel to Japan, and visit Kyoto and its surroundings (coming in a future article :) ). 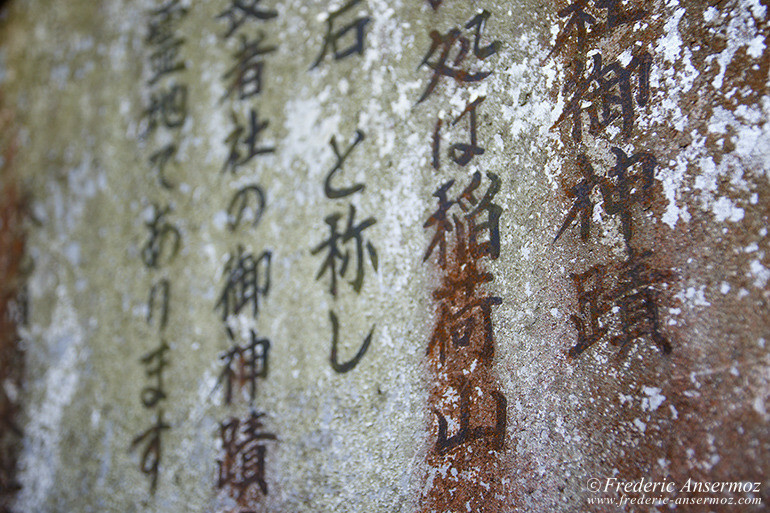 Take care and take pictures! 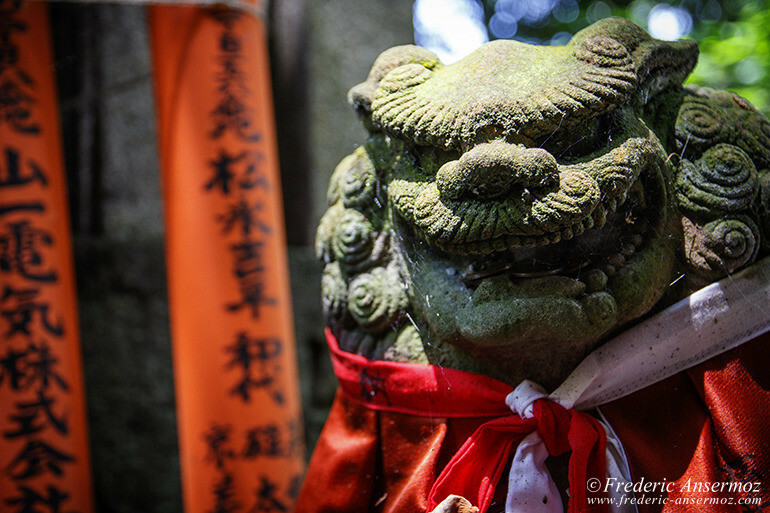 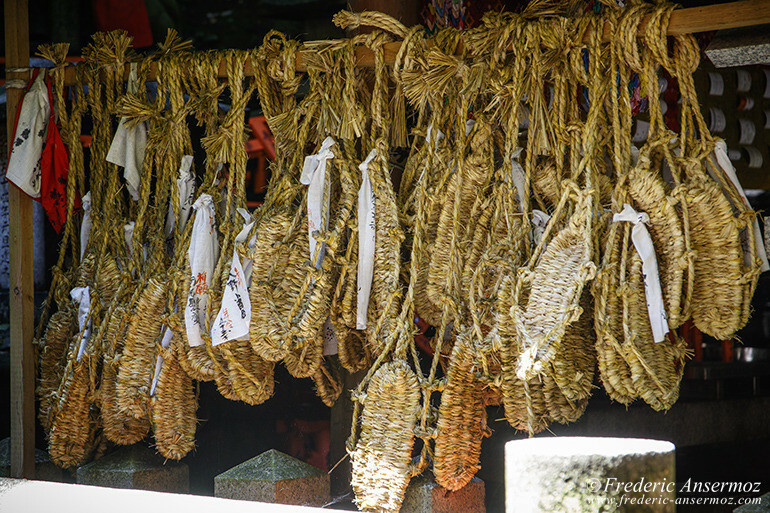 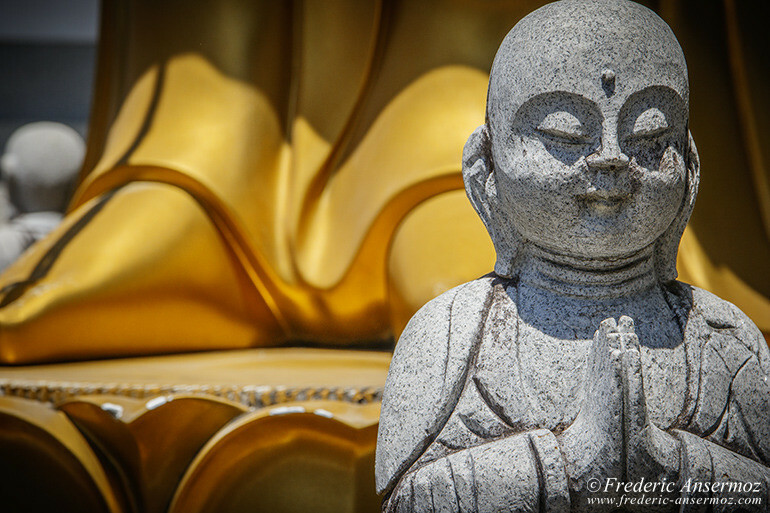 [What] Tags: Japan, Kyoto, Religion, Travel Photography.